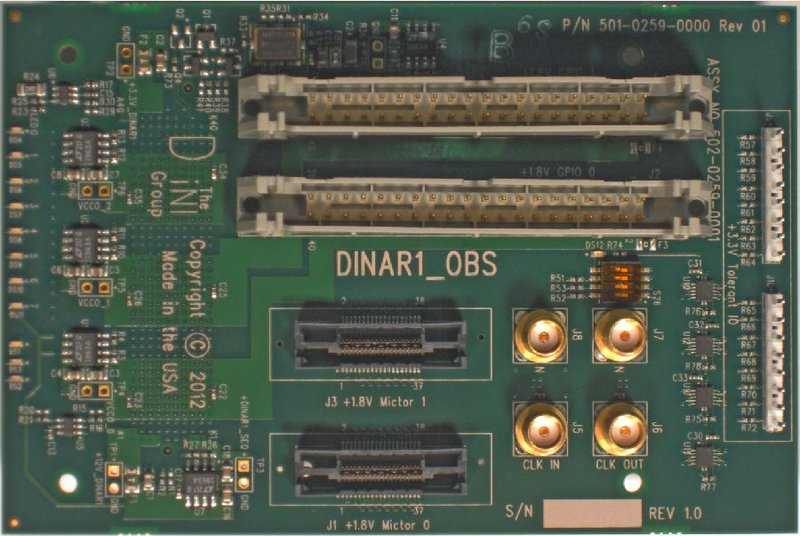 The DINAR1_OBS is an expansion card that adds a variety of standard interfaces to any DINAR1 expansion connector. This expansion card is targeted for use on Xilinx Virtex-7 series products from DINI Group. The DINAR1_OBS has two Mictor connectors, two 40-pin IDC connectors, and a 4-position DIP switch. In addition, two 8-pin single-row IDC connectors are translated, allowing input/output up to +3.3V. Eight LEDs can be controlled via FPGA pins on the host card. 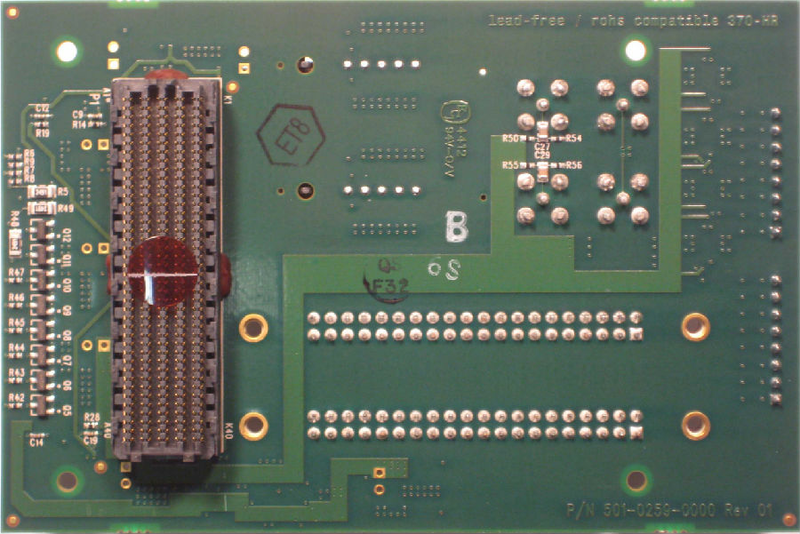 Linear regulators provide the reference voltage for the 3 FPGA banks on the hosting card. l Adjustable I/O voltages via on-board regulators.